Professor Marie-Paule Austin is the St John of God Chair of Perinatal and Women’s Mental Health at the University of New South Wales and a Perinatal Psychiatrist at the Royal Hospital for Women, Sydney, Australia. 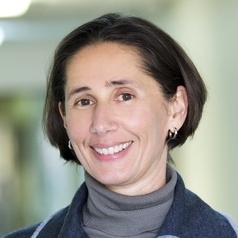 In 2007 she led the development of the Australian beyondblue Perinatal Mental Health National Action Plan for the implementation of universal psychosocial assessment, training and pathways to care in the perinatal period. She chaired the development of the Australian Perinatal Mental Health Clinical Practice Guidelines (released March 2011). Over the last 12 years Prof Austin has established a model of perinatal psychosocial screening and early intervention which has informed practice both across NSW and Australia. Prof Austin leads a number of research projects in the field of Perinatal mood disorders and stress in pregnancy and infant outcomes and has published over 100 peer reviewed articles. She is also undertaking data linkage studies to evaluate service perinatal MH provision at a population level. Austin is Past President of the Australasian Marce Society.